You'll have already seen me sporting this one! So that little lot will definitely be bolstering my collection of basics.....any High Street treasures that you care to share? Quick confession to another recent purchase...... sharing because you may want to secure a pair before they are all gone! 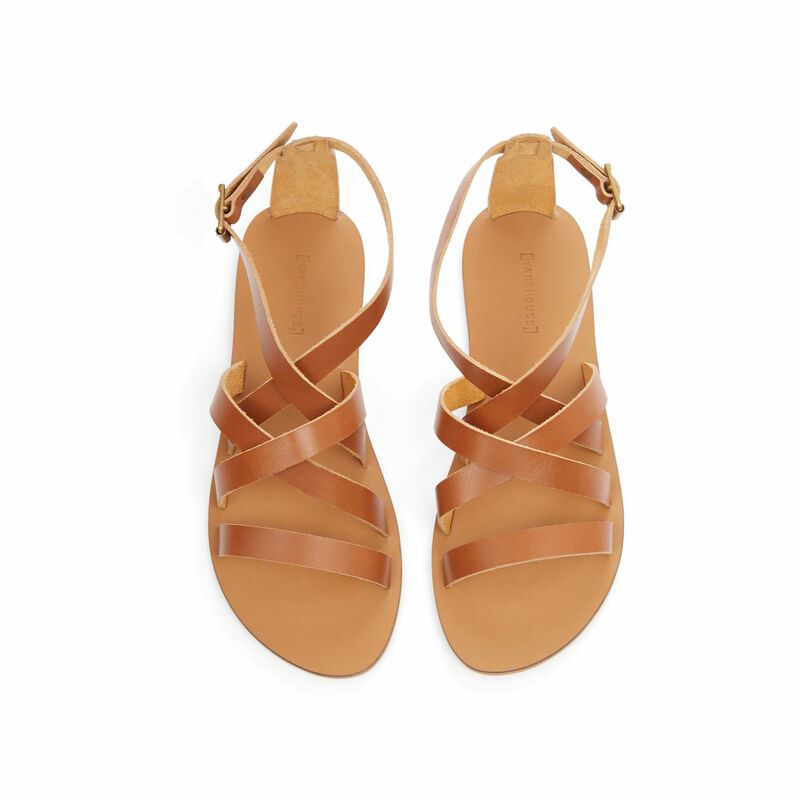 Last year I bought a pair K Jacques-style sandals from Topshop in January. I knew they would fly off the shelves. Sure enough they did. I didn't start wearing them for months and by then it was far too late for anyone to get their hands on a pair. The Topper's are looking a bit tatty now......thankfully I've managed to find a brilliant replacement. Grab a pair of these while stocks last! 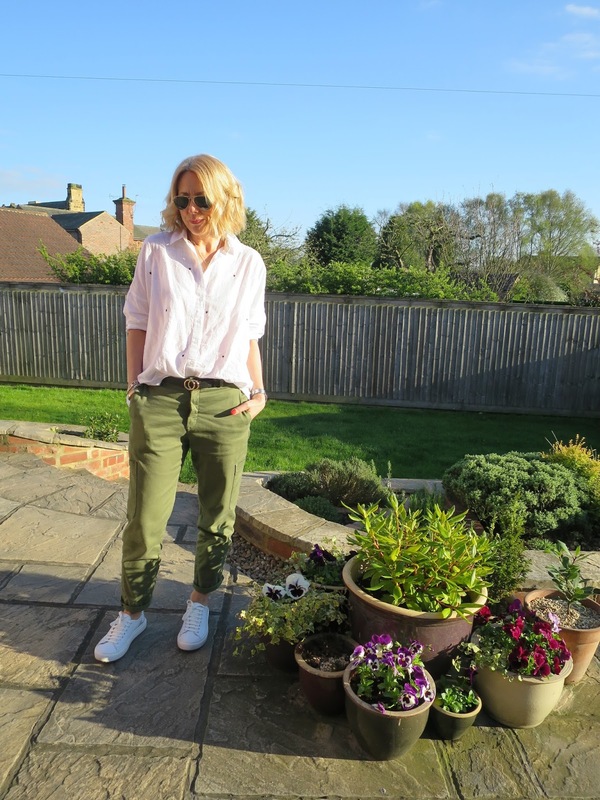 Outfits of the week, starting with Thursday, when at last the opportunity arose for me to meet the lovely Hazel from @a_fashionaddict_style for brunch and to chat about....well everything under the sun really! H&M (L.O.G.G) shirt, current but sadly not online! 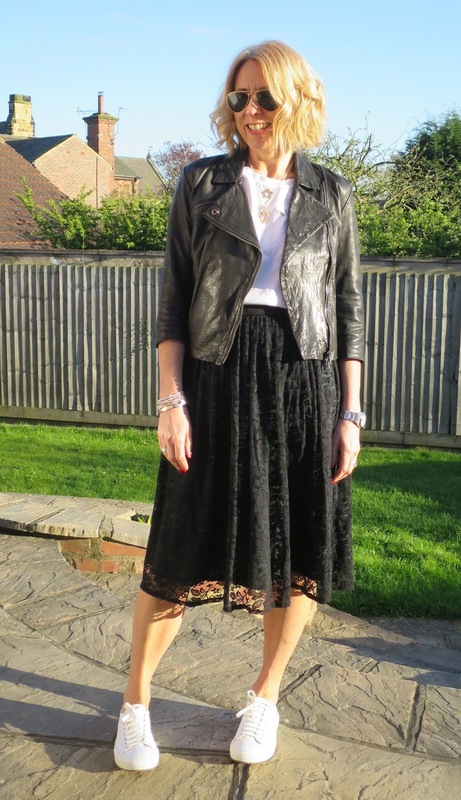 Friday's outfit basking in the early evening sun in Sue's gorgeous garden! On Saturday I was in York at The Grand Hotel with Sue and the fabulous Caroline Jones, aka Knickers Models Own (see her newly launched blog here) where Caroline talked about her fundraising campaign in 2015 for Cancer Research. That was followed by a cream tea and fashion show all in aid of Fashion City York 2017. Here's what I wore...... huge thanks to @susiesoso for the photo! More confessions.....Sue & I had a little wander around York which resulted in yet another t-shirt purchase! I bought this Mango one and changed into it for the event and wore it with my red Topshop Kick ballet pumps. The day was pretty frantic so I didn't manage to get a photo! Thanks again Sue! That's all from me today......I'm pooped after my weekend away! I shall be back again shortly with some great pieces of workwear that I am looking forward to sharing. 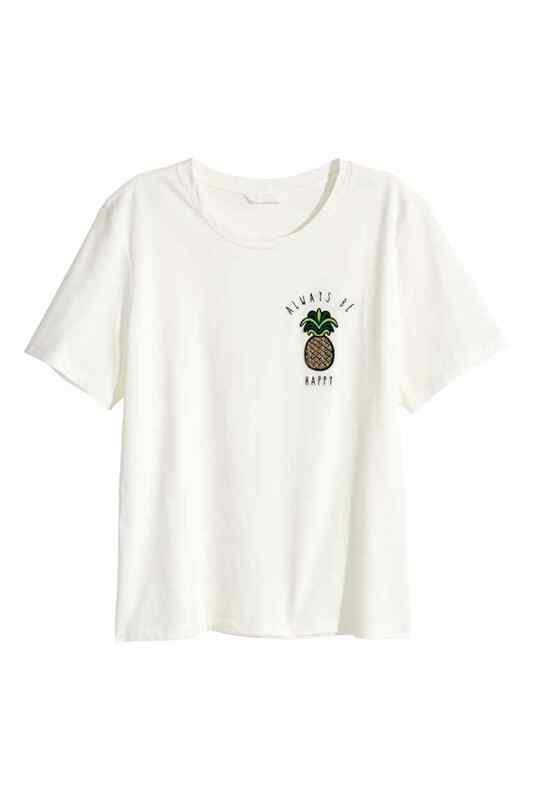 Is it wrong to want every single shirt that you post on your blog?!? 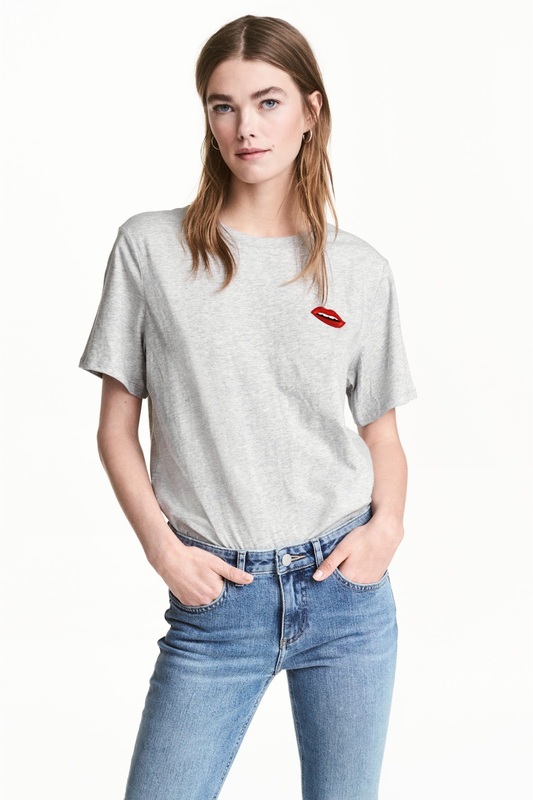 Seriously..if I needed another reason to pop into Mango, and H&M this weekend! hah! 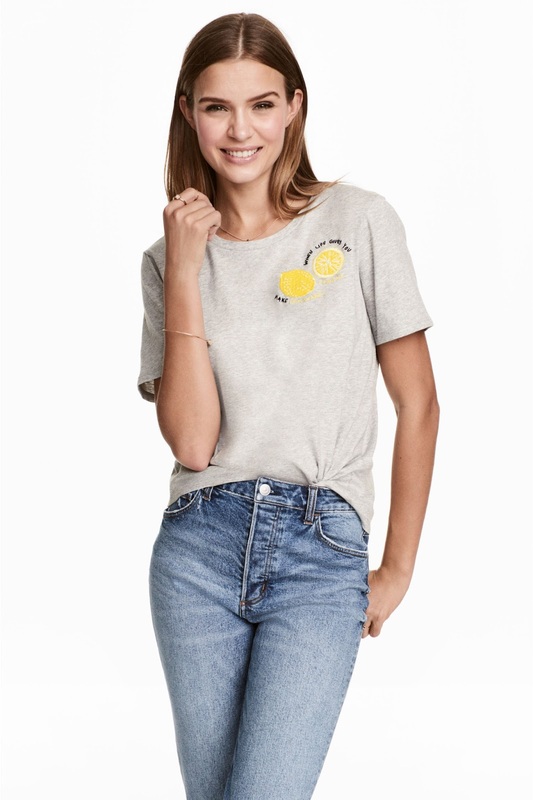 I like the t shirts, but how do you style them? 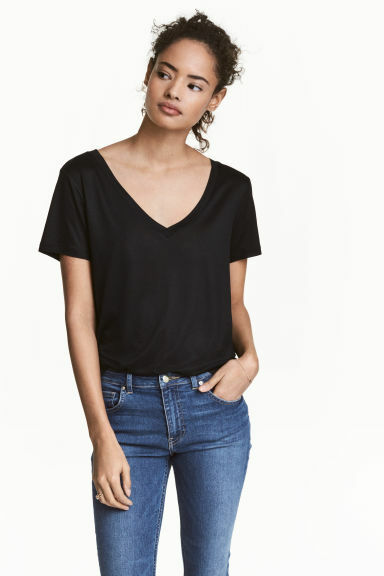 I feel frumpy in just jeans and a t. As for basic Ts, I'd really recommend Cos. Lovely and drapy, flattering and last really well. Simply fell in love with the collection you shared. especially a t shirt.